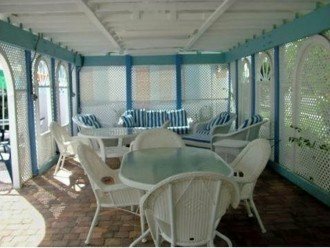 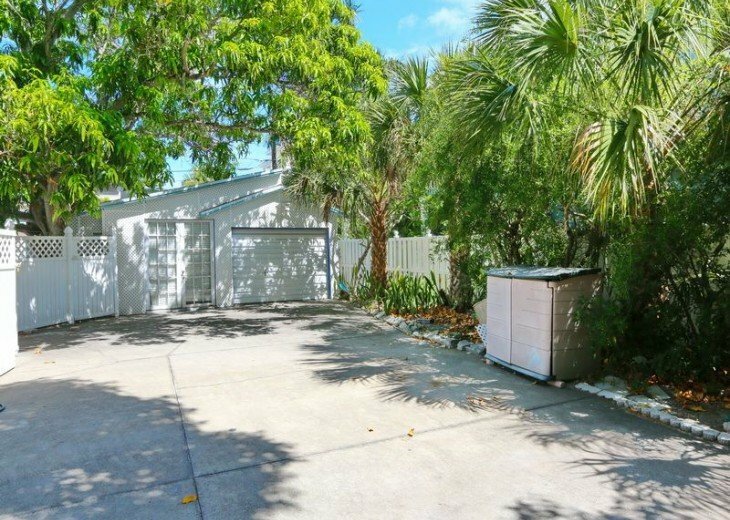 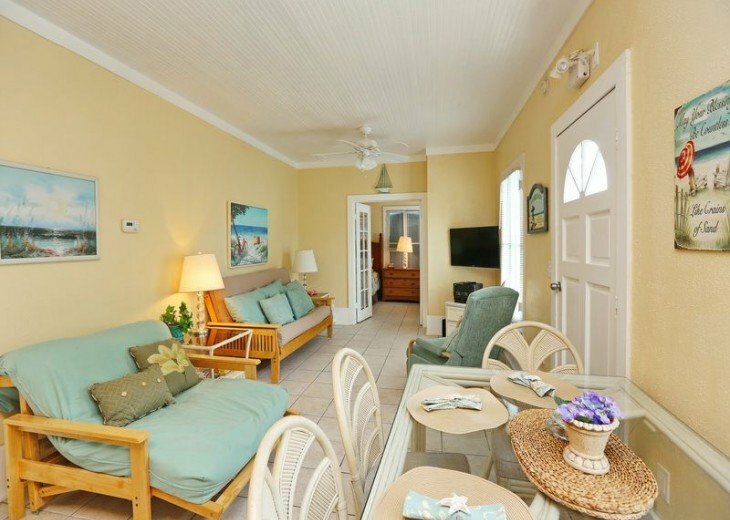 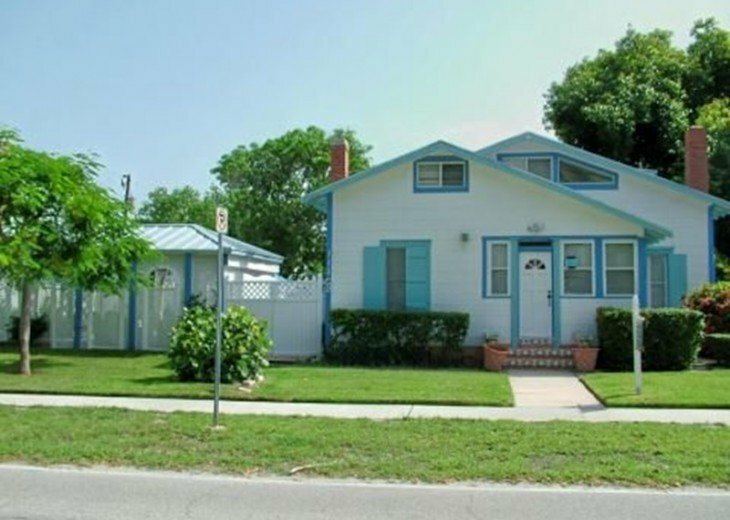 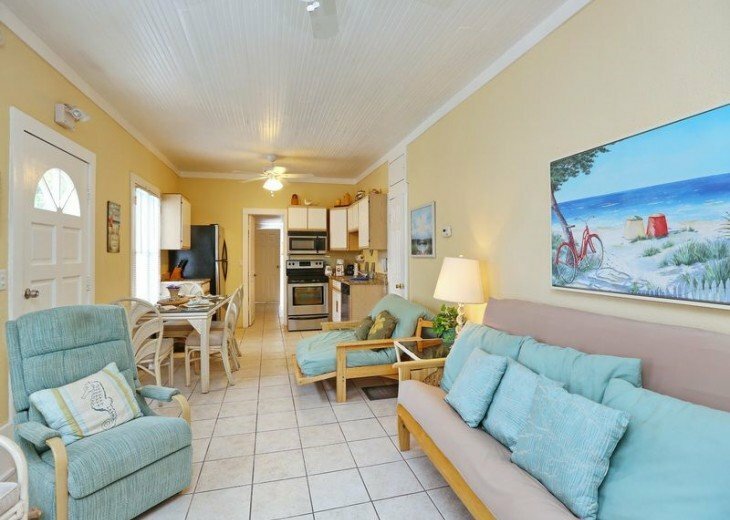 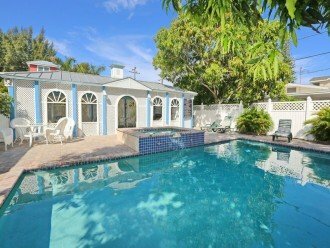 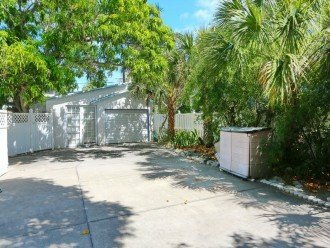 This classic home located on the North End of Anna Maria Island is the perfect home for your tropical beach vacation. 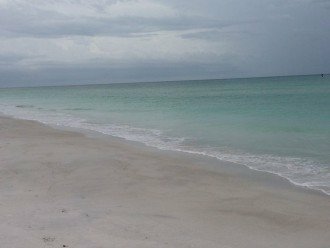 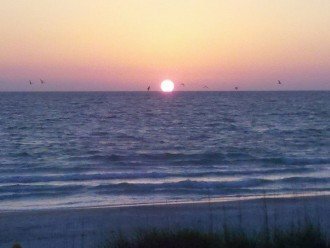 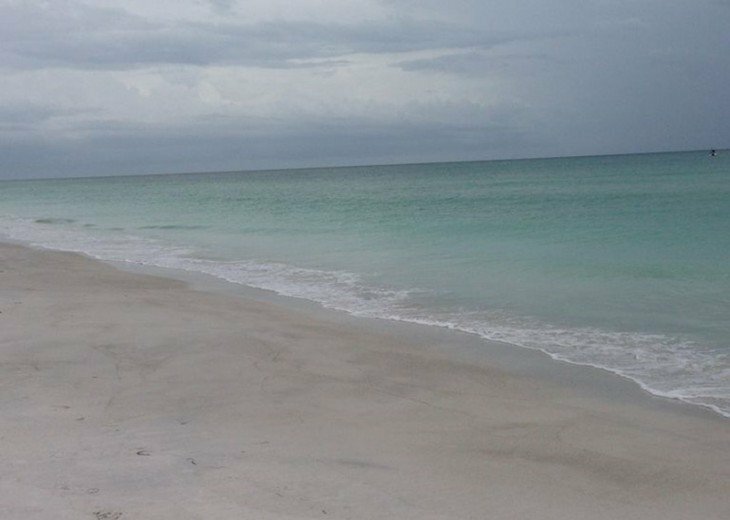 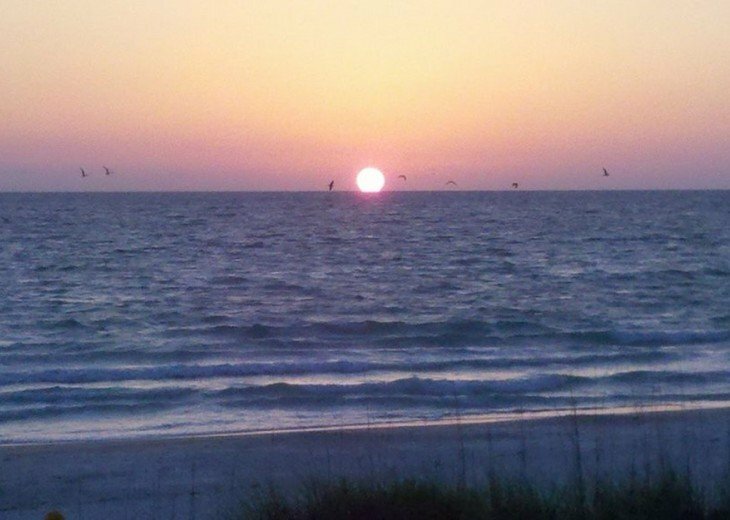 The beautiful Anna Maria beach is across the street about 100 steps away! The home is a legal duplex (11101+11102 Gulf Drive). 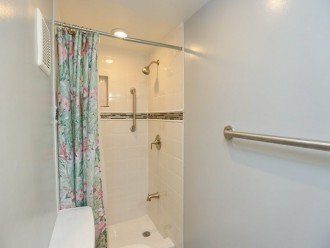 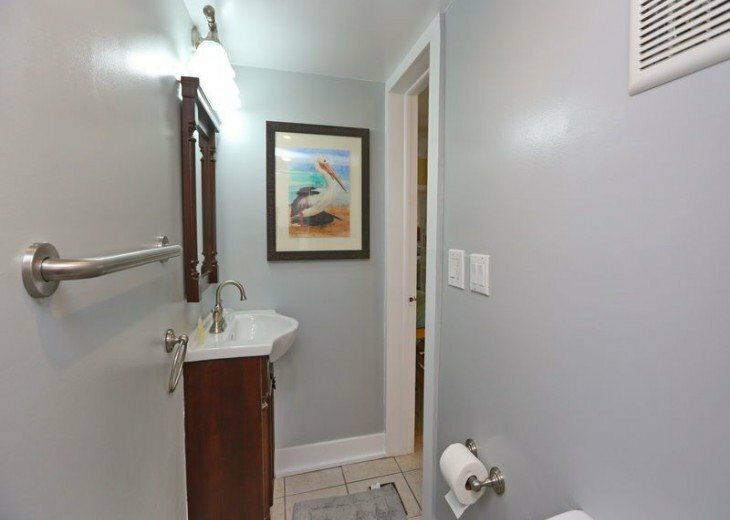 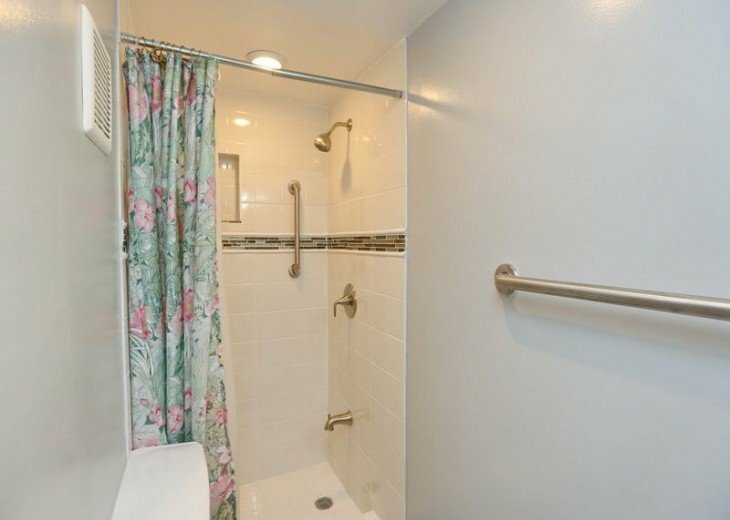 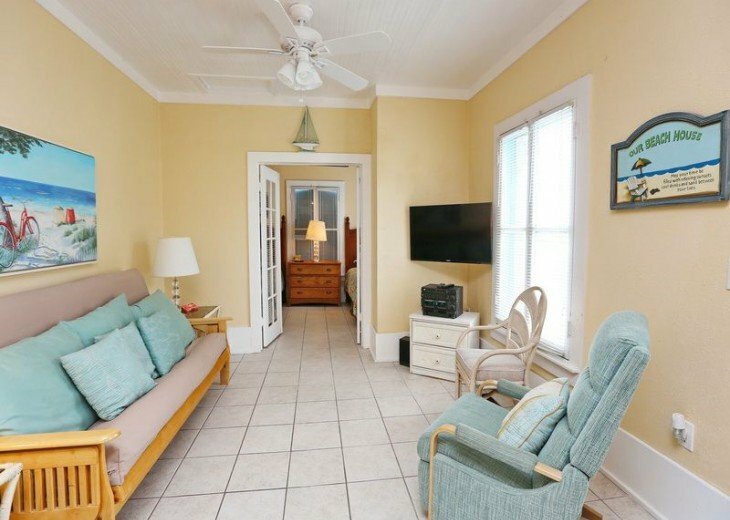 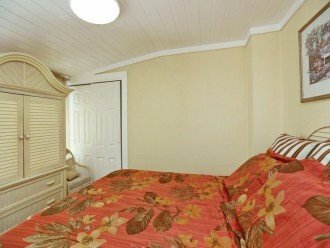 This unit has two bedrooms and two bathrooms. 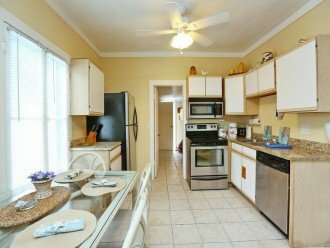 The Kitchen area has been recently renovated with Granite and Stainless steel appliances. 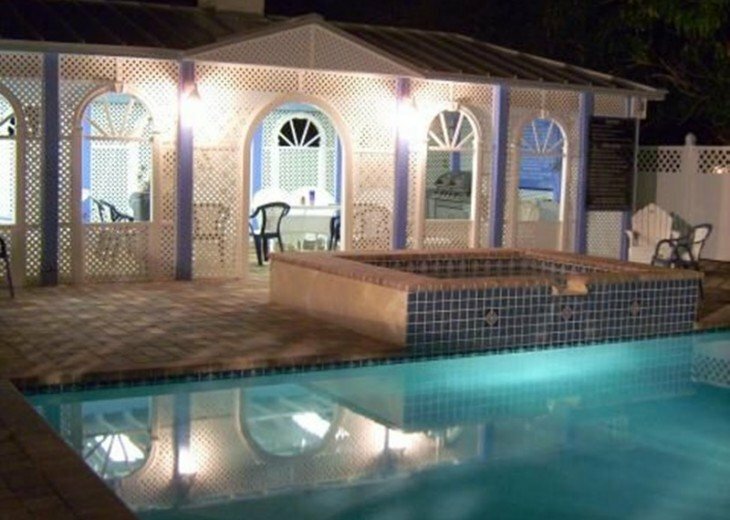 The property has a great private pool area with a Jacuzzi that pours into the heated pool. 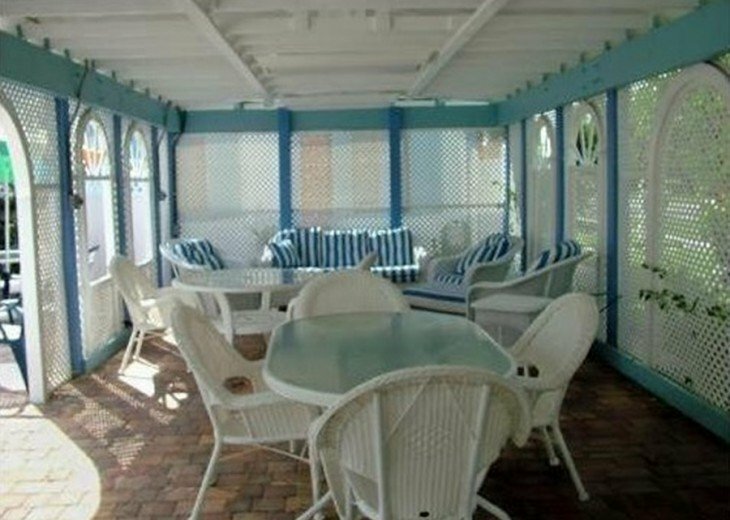 There is also an new Gazebo that's great to get out of the sun or enjoy a BBQ. 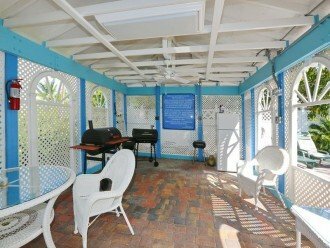 The property is perfect for anyone of any age. 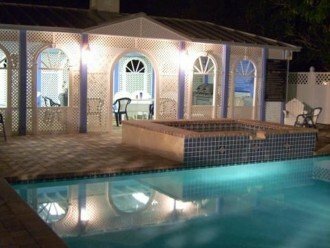 The property contains two private units, however the heated outdoor pool, Jacuzzi and Gazebo are shared between both units. 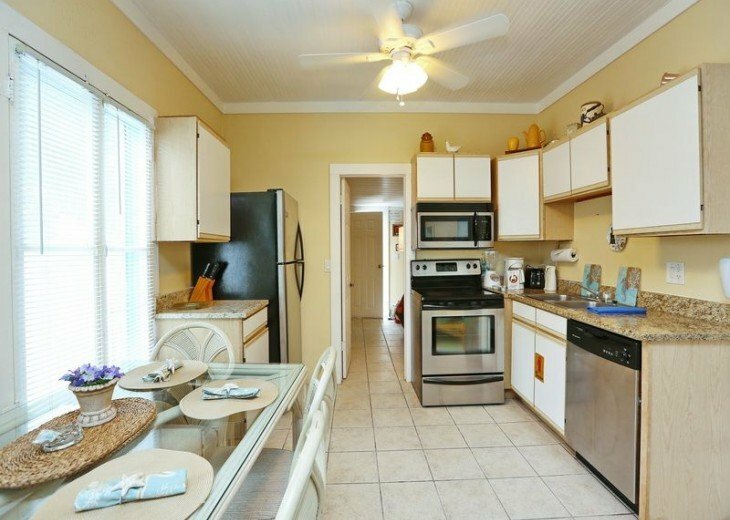 This duplex has been completely renovated inside with a nice kitchen and bathrooms. 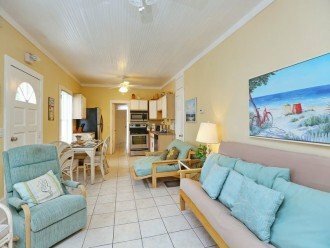 It is a perfect location in the quiet northern end of AMI. 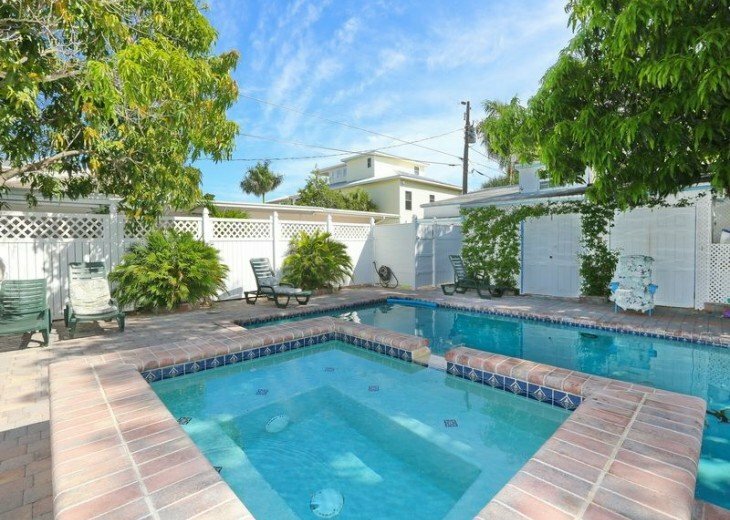 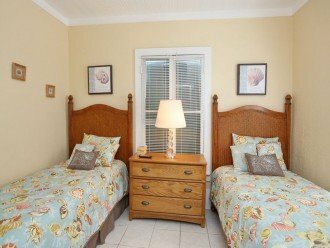 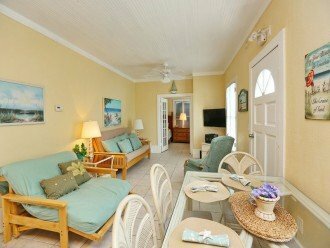 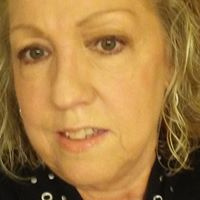 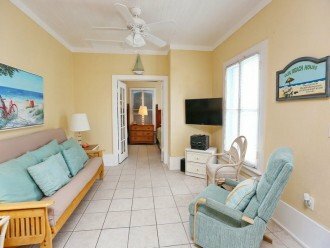 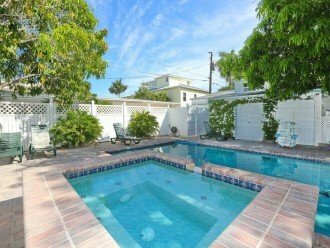 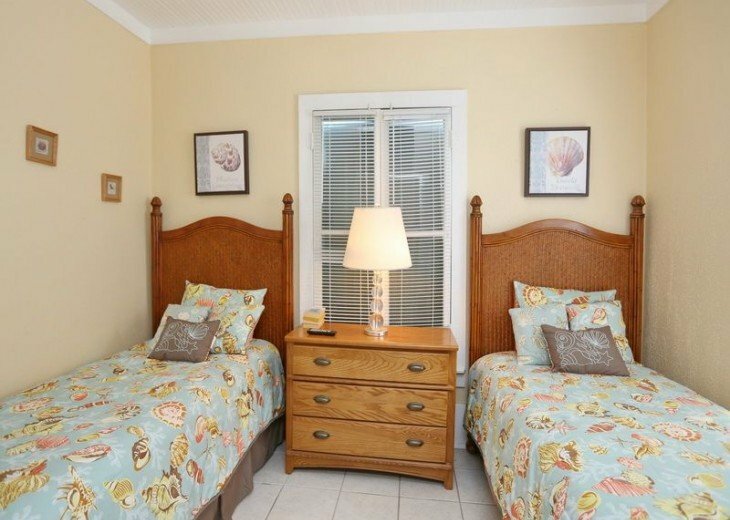 It is within walking distance to restaurants and the beach although the pool and spa area is so nice you will want to spend a lot of time there. 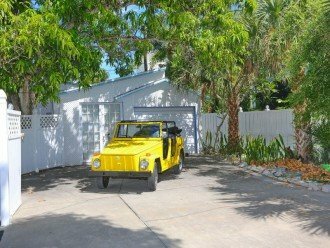 This rental was very clean and comfortable.